Release Date: March 1st, 2016! 1. 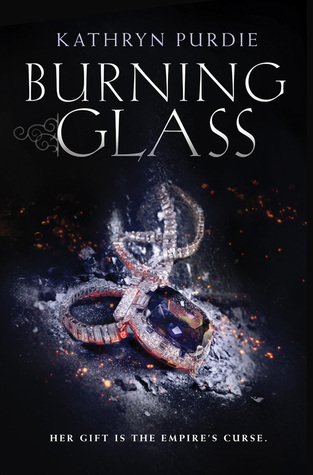 So I heard Burning Glass is a Russian-inspired fantasy, which I didn’t actually know for the longest time! It makes me even MORE excited to read your book. Why was it your inspiration for the setting of the story? I’ve been fascinated by Imperial Russia for many years and felt connected to it after learning that the last Tsarevich, Alexei, the only son of Nicholas and Alexandra, had hemophilia, like my three brothers and my son. The repercussions of Alexei’s hemophilia were largely blamed for the fall of the Russian Empire. My sparked interest led me to fall in love with Russian- or Russian-inspired stories like WAR AND PEACE, NICHOLAS AND ALEXANDRIA, DOCTOR ZHIVAGO, and SHADOW AND BONE. The heady Russian blend of epic, sweeping, romantic, and sometimes tragic was the perfect tone for BURNING GLASS, and I knew I would set it in world like Imperial Russia within the first moments of conceiving the idea. 2. Going off of my last question, have you ever been to Russia? If so, what were some of your favorite places you visited or things you did? If not, what would you love to see and do there? I haven’t been to Russia, but I’d love to go someday! I’d love to see the Catherine Palace; I based a lot of the interior palace in BURNING GLASS on it. I’d also love to visit The Church of the Savior on Blood and St. Basil’s Cathedral, which are those colorful, iconic, onion-domed buildings that feel so uniquely Russian. And I’d love to travel through the huge countryside and see the mountains, lakes, rivers, steppes, and tundra. The Russian landscape is so beautiful and varying. 3. And now I’m switching gears because I’m curious about your main character! Sonya can feel everything that others feel. I imagine that would be very overwhelming and probably annoying being hit with others’ emotions day after day. How does she deal with that? Many Auraseers (empaths) in the novel resort to self-inflicted pain to center themselves on their own emotions and not everyone else’s. But Sonya refuses to do that, so she basically goes haywire for awhile and makes bad choices because she has a hard time distinguishing her own emotions from other people’s, until she finally learns some skills to distract herself by focusing intensely on just one person at a time. 4. If you could have one special gift, would you ever consider having Sonya’s? I actually was inspired to write this story because I DID feel like an empath for awhile after donating a kidney to my brother when my emotional defenses were lowered during my recovery. Sonya’s experience in sensing what other people feel is like a super blown-up example of what I went through. Being truly empathic is not a fun gift. I wouldn’t want it again on that level! Whoa, that's incredible! 5. Did you sacrifice your soul to the Cover Gods for that cover? Because it is seriously gorgeous! :D Does the necklace have a big significance in the story? Ha ha. I gave the Cover Gods my soul AND my firstborn child. ;-) It IS a gorgeous cover and I’m thrilled with it. It’s very symbolic, just like the title. Neither has an obvious, straightforward application to the story unless you really give it some thought. The title and cover are more moody and atmospheric. That necklace is in the book, but just briefly. Despite its short-life on the page, the necklace is a very important symbol to what Sonya is going through. And seeing it in ashes and embers on the cover is just so cool and thought-provoking. 6. And lastly, what has been your favorite part of being a debut author so far? My favorite part has been getting to know so many other debut and pro writers. 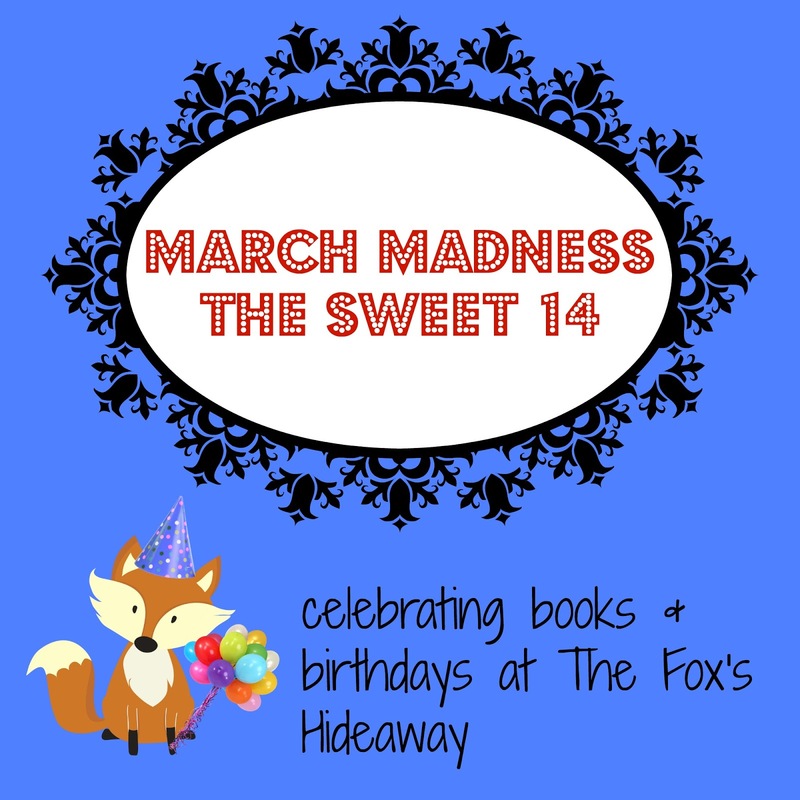 I’m a member of the Sweet Sixteens debut author group, and they’ve been incredibly supportive. We’re there for each other during all the ups and downs of getting initiated in this business. March Madness: The Sweet 14 Kickoff!